We have a long tradition of charitable and service efforts. We more than simply promote the idea of volunteerism, we enable your desire to lend a helping hand. 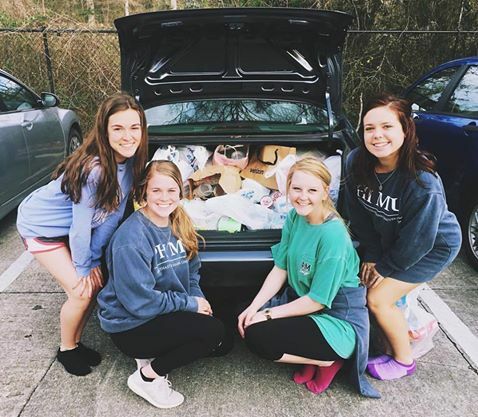 Every semester each Phi Mu member is challeneged to get at least 5 or more service hours. 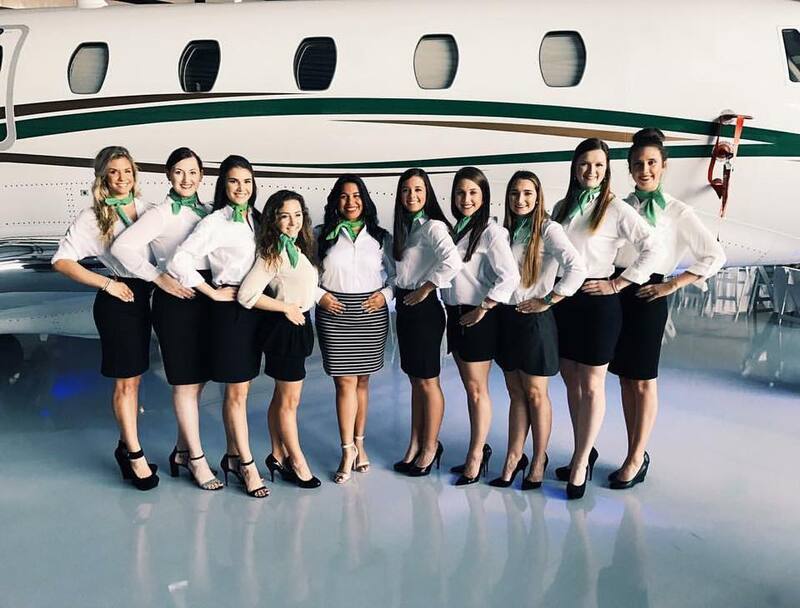 We love getting the chance to help out our community with different fundraisers, benefits, and more! 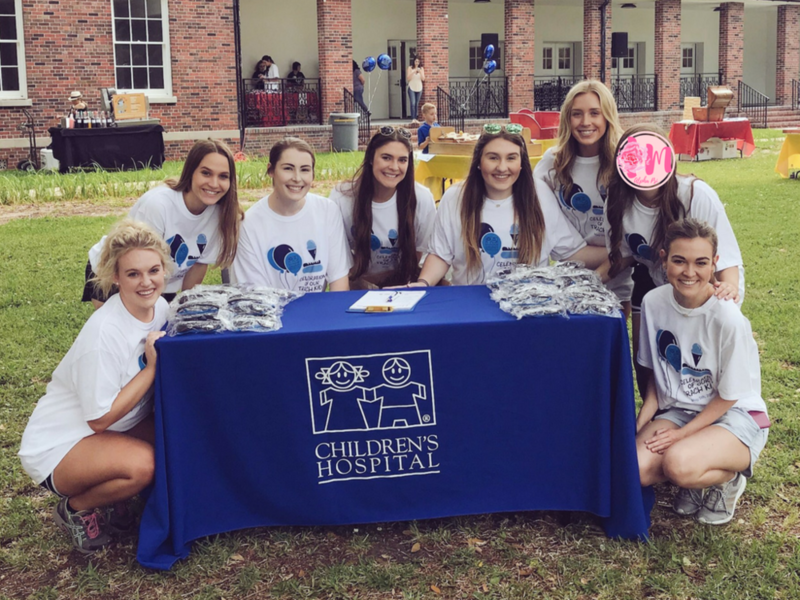 The Big Event is one day of community service in which the Southeastern Campus gives back to the surrounding areas of Hammond and Ponchatoula. The Big Event is different from other service projects because it is not based on socioeconomic need. The Big Event is a way for the entire student body and campus to express gratitude to residents who support them during their college career. Our local residents attend sporting events, donate to our college, and put up with the traffic and many other things that come along with living around hundreds of college students. Whether it is painting houses, raking yards, or laying bricks, the type of job is not important. The Big Event is not about the type of job we do or the number of jobs completed or how many students participate. Rather, it is the interaction with the residents and the resulting unity in the community that makes The Big Event so BIG! Our very own Megan McCormick is Assistant Director this year! We can't wait to see the amazing things you do for the community Megan! 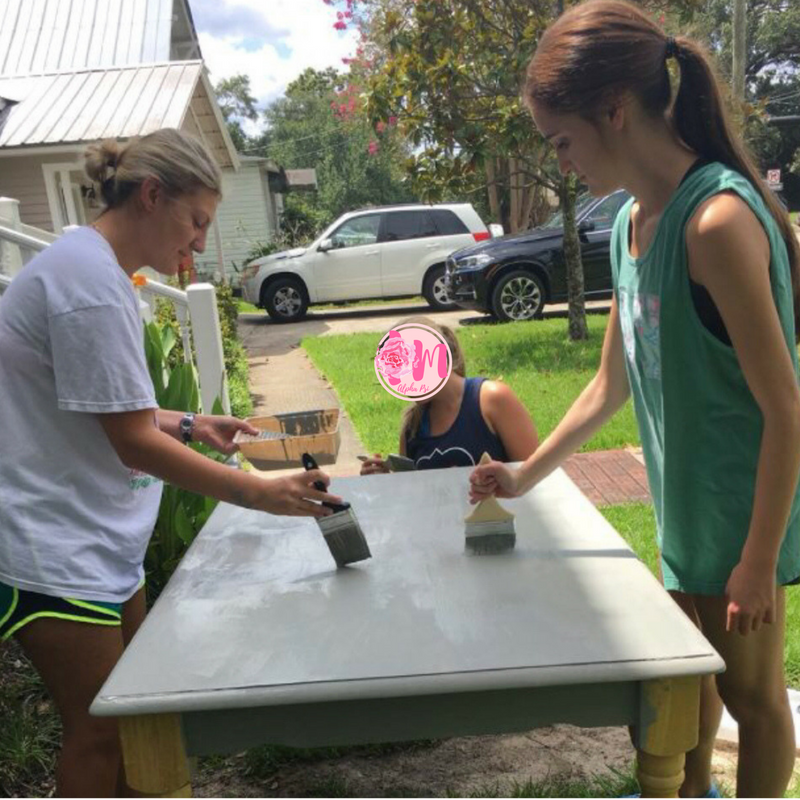 Every year, the week before recruitment we take a break from practicing to go out to the community and "lend a helping hand" at different nonprofits. Some members went to our local Restoration House, a center that exists to protect life and to restore hope to women who are in crisis pregnancies. There our members helped paint furniture and do other chores inside of the center. Some of our members were able to spend their day at a local nursing home! This was a very special trip where our members were able to visit with the residents, paint their nails, and conduct an exercise class. This visit was very meaningful to the residents as many of them rarely receive visitors. Another group went to our local Humane Society which is a non-profit, all-volunteer humane society. The society takes an active role in investigating cruelty cases which often leads to new pet adoptions! 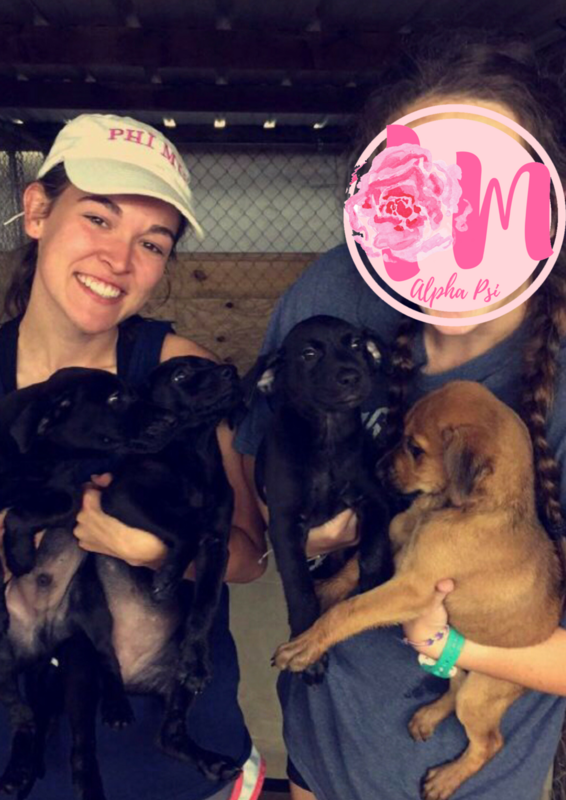 We helped out the Humane Society by cleaning out the kennels and helping the dogs exercise by playing with them. We don't get very many opportunities to visit the children at Children's Hospital, so every year we help out in a special way by making decorations for the Sugar Plum Ball. This year's proceeds will fund Children's Hospital's Family Housing Complex, to provide 28 suites for patient families, as part of the hospital’s current expansion onto its State Street Campus. This project will provide a much-needed respite for parents of Children’s Hospital patients, who come from all over Louisiana and the Gulf South. The new facility will allow parents to be within a short walk of their children.